Every once and a while, amongst the towers of books we collect, there is a book that really stands out as beautiful and poignant as well as being a lovely story to read. Often these sorts of books appeal to me as much as they do to the bairns showing the great power of fabulous storytelling. The Garden of Hope by Isabel Otter and Kate Rewse is just such a picture book and we are delighted to take part in the blog tour this week. This book really is an incredibly powerful picture book with a simple message of hope. After Maya has lost her mum, (though it's not made clear whether her mum has left or passed away allowing for the interpretation of the reader), she struggles with worries and anxiety finding the gap in her life to be a gaping black hole of confusion, anger, grief and heartache. Fortunately for Maya she has a wonderfully supportive father who understands and tries to help her find ways to cope with her emotions (despite his own obvious grief and sadness). Her dad tells her a story about how her mum planted seeds in the garden when she was worried and as she watched them grow her worries faded. So Maya sets out to reclaim the garden from the weeds and plant seeds of hope of her own. The garden is very overgrown and it takes huge amounts of dedication from Maya, with the help of her father, to clear the weeds, plant the seeds and to lovingly care for the garden as it grows. By the end of the story, Maya's garden is beautiful and has attracted bees, butterflies, ladybirds, hedgehogs and rabbits (amongst others). Maya had transformed the garden into a place of beauty, budding with life. And her mum (and dad) had been right. As Maya planted the seeds she had forgotten her worries and provided something she needed most: hope. This is such an enchanting tale that deals with subjects of loss (or absenteeism) and anxiety. With incredibly beautiful illustrations of a garden blooming back to life this is a truly beautiful book. The illustrations in this book are beautifully soft and subtle and show the small changes in the garden, and in Maya, over the passage of time. The incredible blooming of the garden is spectacularly captured and it has given us inspiration to plant a garden of our own. In the last year we have been spending lots and lots more time in our garden, and that's thanks, in part, to a legacy left to me by my grandfather when he passed away last year. He spent a lot of time and took a lot of pride in his garden and I felt it fitting that we use some of my inheritance to revamp our garden to make it more family friendly. We bought our house from an older couple who had put a rockery and a large trellis in the middle of the lawn, both of which were potential dangers for the kids as well as a very uneven patio and three large sheds. So, with the help of some brilliant landscapers, we had the sheds all moved and painted, the rockery and trellis removed, a deck put in place of the patio and a large piece of play equipment installed on a patch of artificial grass (we still have lots of actual grass but we felt it was easier to maintain for the play equipment). So all that remains is for me to get some green fingers and get to grips with the plants in the garden. I find gardening quite daunting as I don't know very much at all! But with the help of Papa BookBairn we planted some seeds together and BookBairn now has her own little patch! As well as some sunflowers which are almost as tall as her. We planted the seeds back in May as well as planting out some small bedding plants (BookBairn and her Papa did most of the work because I had my arm in a sling still) as well as the sunflower seeds. And BookBairn has loved seeing her garden grow. Every time we go out to the garden she wants to check and water her plants as well as see how tall her sunflowers are growing. The excitement of watching things grow has really brought her a lot of joy! But you don't need much space for your kids to enjoy the excitement of watching their own garden grow. The first thing we planted together were cress seeds as I knew they would grow quickly so BookBairn would see results when she was feeling impatient for her other plants to grow. But actually I was surprised by how patient she has been, most days she says "my sunflowers are growing tall but they still don't have flowers yet" - it's like she checks in with them daily but already understands that they need more time. And like Maya's garden, our garden has attracted lots of fascinating wildlife. BookBairn loves seeing all the wildlife, in particular bees and butterflies, who visit the garden. We have a huge lavender patch which, daily, is covered in dozens of bees and butterflies! We also have bird feeders and she enjoys looking for the garden birds, comparing them with a bird book that we have. We also have a rabbit, though I can't claim it's true wildlife as he lives in a hutch on our patio and is loved dearly! Growing a garden with children is a wonderful experience and, even for those who are not very green-fingered like me, you will find it's not as hard as you think. And maybe if you plant your worries along with the seeds, you too will find that your stresses and anxieties become replaced with hope. 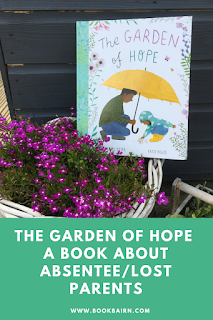 To check out more of the blog tour for this book you can follow #TheGardenofHope on Twitter. 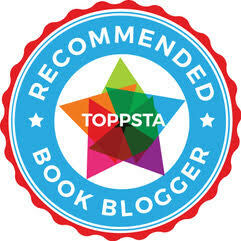 Disclaimer: I was sent this book free for review purposes and was asked to join the blog tour after having enjoyed the book. Words and opinions are, always my own. This looks like a fabulous book and I love the fantastic artwork. It looks like Maya has lavender and sunflowers in her garden and so does BookBairn. I think it’s great that BookBairn shows such an interest in and care for her plants. And you played a starring role in planting her garden! Haha!! I'm better with books than flowers too!